One 1,475 hp Daimler-Benz DB 605A-1 V-12 inline liquid-cooled piston. 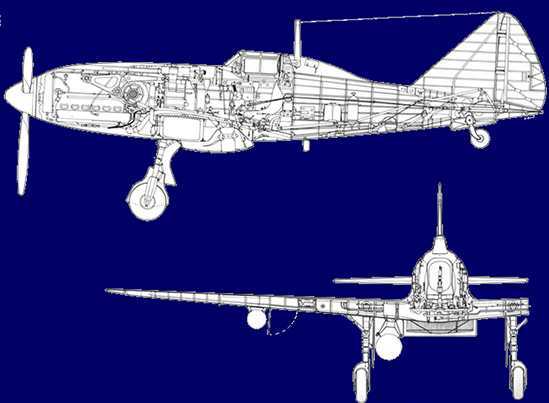 Span: 36 ft 1 in / 11 m.
Length: 28 ft 7 3/4 in / 8.73 m.
Height: 10 ft 4 in / 3.15 m.
Wing area: 219.58 sq ft / 20.4 m2. Empty: 5,732 lb / 2,600 kg. Maximum: 7,960 lb / 3,610 kg. 609 miles / 980 km. Two 12.7 mm Breda-SAFAT machine guns with 350 rounds each in upper engine cowling. 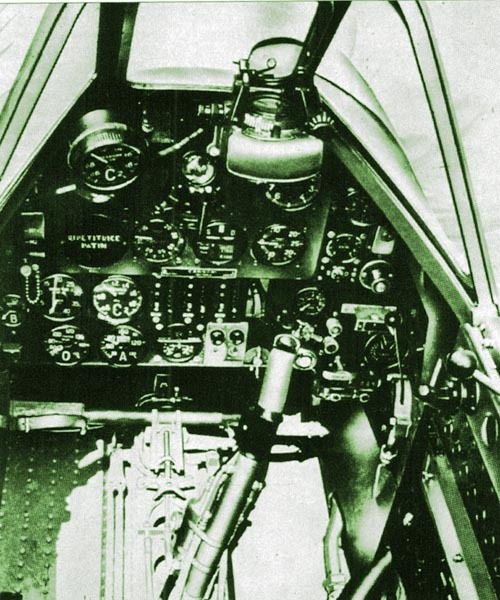 One 20 mm Mauser MG 151 cannon with 150 rounds firing through propellor hub. Two 20 mm Mauser MG 151 cannon with 200 rounds each in wings. Up to 2,200 lb / 1,000 kg bomb or fuel tank under fuselage. Two wing hardpoints for 353 lb / 160 kg of bombs or fuel tanks. This picture reports the test flight made by Com.De Prato, who tested the Re 2005 at a speed of 980 kph, without any problem. 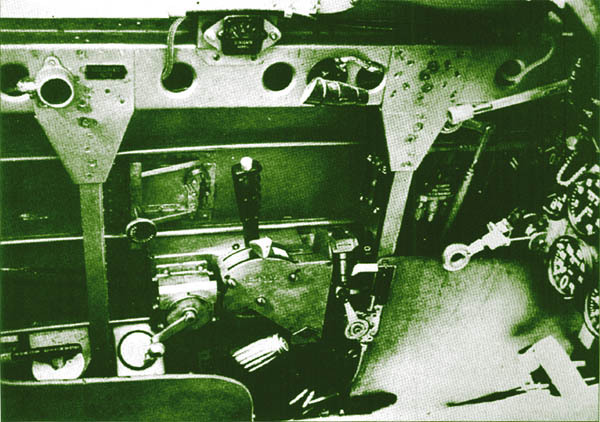 Left side view of the cockpit.Throttle and engines controls.In italian airplanes the throttle control woked in a different manner from usual;to increase power you had to pull the control. 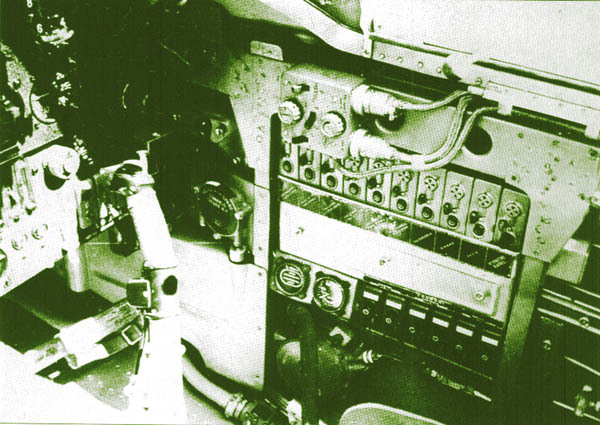 Right side view of the cockpit.Electrical panel.